A correction to this article is available online at https://doi.org/10.1057/s41289-019-00090-w. 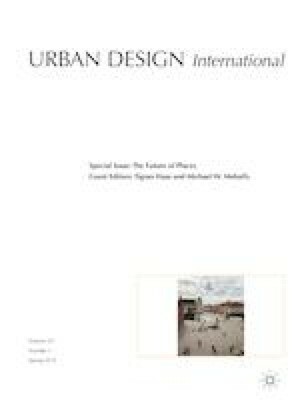 This special issue of Urban Design International delves into the emerging field of public space research with a range of new articles from a number of leading scholars in the field. It is timely for a number of reasons. First, it comes at a time when many authors (including several represented here) have documented an alarming decline in the quantity and quality of public space in many cities around the world—even as “urbanisation” is occurring with historically unprecedented speed. The term “post-urban” describes these trends well: an increasingly fragmented world of sprawling suburbs, shopping malls, gated communities, and chaotic informal settlements. Importantly, all of these places have in common the degradation, privatization, or other diminution of public space. Even where public spaces exist, they are increasingly controlled by and for private interests, with profound consequences (as several of our authors discuss). Our aim with this edition, then, is to contribute to the ongoing debate about the importance of public spaces in a post-urban world—and to point to possible pathways of transition toward a needed “re-urbanisation,” organized around the revival of public spaces. Third, this issue also commemorates the four-year “Future of Places” forum of events, papers and debates in which most of the authors herein participated. Its partners and participants included UN-Habitat, Project for Public Spaces, and Ax:son Johnson Foundation (its NGO host) as well as over 1500 researchers, practitioners, officials and activists, representing more than 700 organizations, 275 cities and 100 countries from all around the world. The series of global conferences and additional side events resulted in extensive cataloguing of public space knowledge and building of strategic networks to enable improvements to the quantity and quality of public space. At its conclusion, the forum produced an action-oriented set of Key Messages promoting the value of public space, and covering critical issues for public space, including but not limited to, inclusivity, human scale, people-centered cities, and the importance of a citywide approach (UN-Habitat et al. 2015). The Key Messages were also used as source material (along with other documents) in the drafting of the New Urban Agenda. Now the focus must be on implementation, with research into action across the larger networks of urban discourse. Central to the Future of Places aim has been to operationalise a paradigm shift in urban planning, emphasizing benefits on offer for sustainable urban development through a people-centered approach. Many critics have argued that the focus of urban design and development has been too much on the hardware of cities (buildings and infrastructure), and not enough on the software of cities (culture and place). The Future of Places attempts to address this deficit by shifting the conventional design thinking, “from objects to places.” The authors of this special issue reflect that “place-led” and “placemaking” approach. Mathew Carmona’s “Principles for public space design: Planning to do better” considers the literature and notes that “underpinning the notion of ‘public’ space in much of the literature is the idea that, as far as possible, space should be ‘free’, in three senses of the word: open, unrestricted and gratis.” He then sets out what he terms “an unashamedly positive framework for shaping public space,” and he offers three over-arching principles, and seven detailed considerations for evaluating public space. Dr. Carmona is a Professor of Urban Design at the Bartlett School, University College London. Aseem Inam, in “Designing new practices of transformative urbanism: An experiment in Toronto” emphasizes the engagement of informality as a conscious planning tool to empower marginalized communities and drive needed political change toward greater social justice. He demonstrates the dynamics of this process with a case study from Toronto. Professor Inam is the Chair in Urban Design at Cardiff University in the UK. Mattias Kärrholm’s “Scale alignment: on the role of material culture for urban design” describes urban space as “a complex sphere of spatio-temporal claims and overlaps, where interior/exterior and public/private intersect in different ways,” which means that only rarely can one observe a clear demarcation between public and private. Yet we must be able to manage this complex array of borders, and he suggests this is only possible by assembling multiple actors working at multiple scales, especially the smaller scales of material culture, that is, objects and artifacts. Dr. Kärrholm is the Professor at Department of Architecture and the Built Environment, Lund University. Setha Low, in “Public space and diversity: Propositions for social justice in street, parks and plazas” argues that public spaces function as the most important forum for the development of a socially just society—the places where “race, class, gender, age, sexual preference, ethnicity and ability differences are experienced and negotiated in a forum for political action, communication, and democratic practice.” What is needed is a set of shared tools and strategies to “improve urban public spaces that are being restricted and homogenized by neoliberal governance strategies.” Professor Low is Director of the Public Space Research Group at City University of New York, and Professor of Anthropology, Sociology, and Environmental Psychology. Ali Madanipour’s “Rethinking public space: Between rhetoric and reality,” recognizes that public space is an increasingly priority for urban development, accompanied by burgeoning research literature. At the same time, he warns that the public space agenda is being co-opted by those who seek “a space of attraction, an instrument of delivering investment and maximizing rewards.” In this process, an overly harsh delineation between public and private indicates an unequal society, whereas “highly articulate, soft and porous boundaries, in contrast, show a more peaceful and sophisticated encounter, and a more urbane society.” The ultimate question separating the rhetoric of public spaces from the reality, then, is “whose spaces are they?” Dr. Madanipour is Professor of Urban Design at Newcastle University in the UK. Vikas Mehta, writing in “Streets and Social Life in Cities: A Taxonomy of Sociability,” celebrates the fact that “we have made significant advances in the awareness of the value of the public realm and in the planning and design of urban public spaces including streets.” On the other hand, we can only achieve the potential of streets as valuable public spaces “when the design and management of the space and the uses on the street remains open-ended to represent numerous groups and constituencies of the neighborhood and beyond, and are meaningful to them.” Dr. Mehta points to hopeful evidence that “… there are streets that counter the prevalent culture of consumption and one can find visible signs of spontaneity and diversity of people and activities, and genuine social life.” He draws helpful lessons from “…how these streets perform as social spaces—how sociability is enacted, and what is the nature of planning, design and management that supports a taxonomy of social behaviors on the street.” Dr. Mehta is Fruth/Gemini Chair, Ohio Eminent Scholar of Urban/Environmental Design at the College of Design, Architecture, Art and Planning, the University of Cincinnati. The emphasis on public space within the New Urban Agenda is just one more reminder of its emerging status as a central subject of study. Among the disciplines that now treat public space as a major research topic are urban design, urban studies, anthropology, sociology, environmental psychology, political science, and urban economics. This inter-disciplinary characteristic also points to one of the most helpful aspects of public space, its capacity as an organizing framework for other urban systems. In that light, and given the magnitude of the challenges, it is clear that public space research urgently needs further development. As we take up in the concluding section, a number of key questions remain, including the nature and benefits of public spaces, its relation to private spaces, the roles of the various actors that create and use it, and the tools and strategies they may use to do so. For example, what makes a great public space? There are numerous spatial and social qualities involved, of course: Issue of size, scale, degree of physical enclosure, amenities, aesthetics, and other variables matter; public spaces at different times and in dissimilar contexts might change in their role of accommodating various and heterogeneous groups of people in the city (Carmona et al. 2003). These changing roles also mean changing conditions for various social and economic groups, for those inhabiting the adjacent urban realms, and for those visiting or passing by (Amin 2008). This urban complexity clearly demonstrates the complexity of the problem of public space, and begins to point toward a new nomenclature and system of public spaces (Haas and Olsson 2014). The New Urban Agenda expresses the proposition—supported by considerable evidence—that the cities that will do best in the long run will be those that best support an open, equitable public realm, and leverage its benefits for all the people who utilize those places. This is because, as we see in this issue and in other research, public spaces offer the capacity to support a complex agenda of livability and sociability, economic prosperity, community cohesion, social justice, and overall sustainability for cities. Yet as we also learn from the authors herein, these goals can only be achieved if we understand, and assure, the fully open, porous and dynamic nature of public spaces—which is, in fact, the very essence of their publicness. Clos, J. 2016. We have lost the science of building cities. Interview in The Guardian newspaper, 18 April 2016. https://www.theguardian.com/cities/2016/apr/18/lost-science-building-cities-joan-clos-un-habitat. Accessed 7 Dec 2017. UN Habitat, PPS and Ax: son Johnson Foundation. 2015. Key Messages from the Future of Places. https://unhabitat.org/wp-content/uploads/2015/10/Key-Messages-from-the-Future-of-Places.pdf. Accessed 25 Apr 2017.